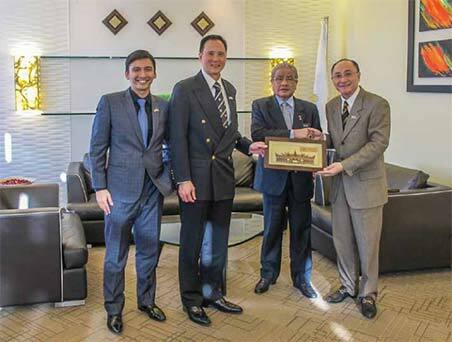 DSAM paid our annual courtesy visit to Dato’ Sri Hasan Malek, Minister of Domestic Trade, Co-operatives and Consumerism. With DSAM chairing one of the three sub-committees spearheading the implementation of the Direct Selling Blue Print, the Minister reaffirms the government’s continuous support and commitment towards the industry. DSAM has also worked very closely with the National Pharmaceutical Control Bureau, Food Safety and Quality Division, Royal Malaysian Customs Department, Personal Data Protection Department, Human Resources Development Board and other regulators to ensure that the voice of our Members are heard while remaining compliant with the various regulations. This entry was posted inNews. Bookmark thepermalink.